As a control authority, Skal Biocontrole is dedicated to proving the reliability of organic products in the Netherlands. We are the only organic control body in the Netherlands, assigned by the Ministry of Economic Affairs. This enables Skal to overview the entire Dutch organic food chain. Skal is accredited by the Dutch Council for Accreditation and is an active member of the EOCC. Please notify us if you have doubts about the organic status of a Skal certified product. We consider other control bodies, entrepreneurs and consumers an important source of information. 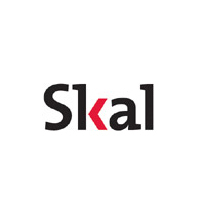 In 2014 Skal carried out 5101 inspection visits on site. The majority of companies complied with the legal requirements. However Skal determined 750 non-conformities. The domestic market for Dutch organic products has been increasing steadily. With a net growth of 439 organic companies in 2014, the Dutch organic sector grows accordingly. By the end of 2014 1600 farmers and 2138 processors, traders and importers were registered. The certified organic acreage increased to 57.045 ha.